Wachovia turned into Wells Fargo in March 2011. The conversion had been going on since 2008, and Wells Fargo promised to become more environmentally friendly and use less paper and forms. They also promised to have more in-house personnel to assist customers and to become more efficient. There’s no denying that the Wells Fargo branch I use in Jupiter, Fla. has had the best and brightest customer assistance I have ever had the pleasure to meet in a long line of mediocre banking institutions, however their digital world has problems that still need to be addressed. At this time it’s impossible for me to access any of my cash in a Wells Fargo banking machine because only one of my PIN identifications came in. When I visited the website there was insufficient information for me to figure out what was happening. Besides when I realized I needed extra cash that afternoon, I wasn’t home and tried to access my information via my Iphone. So then another question came to pass in my mind. What if I was traveling and either lost my ATM card or didn’t remember my PIN? I’m not always the best organized when it comes to having multiple passwords, and in an attempt to keep my accounts safe from hackers however, I still keep them in a private notebook. The problem is I do not always have that particular notebook with me. 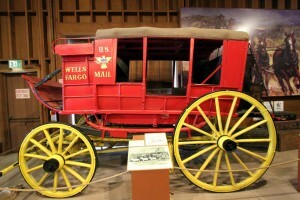 So how can Wells Fargo and other institutions or businesses become more customer service friendly? First of all we should always have the ability to use our own PIN combinations. How about letting us access that first bank assigned PIN through our account information online instead of through these mailings? Why not make call centers more customer friendly? If the monotonous standard message is telling me that my business is very important to you, then why do I need to be on hold for ten minutes or more? Why isn’t there an application that will take my phone number and call me back as soon as the next customer service agent is available? Train customer service agents better. Of course there are always red flags that go up when a customer over the phone is trying to access their PIN identification numbers, but many times the request is real. Why not have banks be proactive in updating security information? When I tried to access my account from another bank, the question related to a pet my former husband had when he was ten-years-old even though the joint account had been transferred to my name three-years ago. Companies need to use human contact in conjunction with the digital world. It doesn’t work to decrease customer service representatives in lieu of pressing multiple numbers on our phones to just wind up in a complete circle. Customer service is still and will always center on people helping people. « Is British Airways providing better customer service or are they stalking you?